Today, many drug molecules exhibit poor aqueous solubility and bioavailability. There is a need for innovative nanotherapeutics improving their efficacy. Smart drug delivery approaches can help to enhance dissolution of active pharmaceutical ingredients as well as to selectively target compounds (e.g. biologics, small molecules) to specific tissues inside the human body. They take advantage of passive accumulation mechanisms or carrier-cell interactions. Following a quality-by-design approach our group combines novel formulation technology with highly advanced drug release models in order to identify the critical quality attributes of nanoformulations. 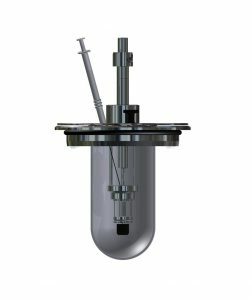 This allows us to design and to manufacture nanoformulations at high quality and different scales of production. In addition, we explore the interplay between processing technology and the in vivo response of nanoformulations. For this purpose, we apply in silico approaches using physiologically-based pharmacokinetic modelling to establish an in vitro-in vivo correlation.